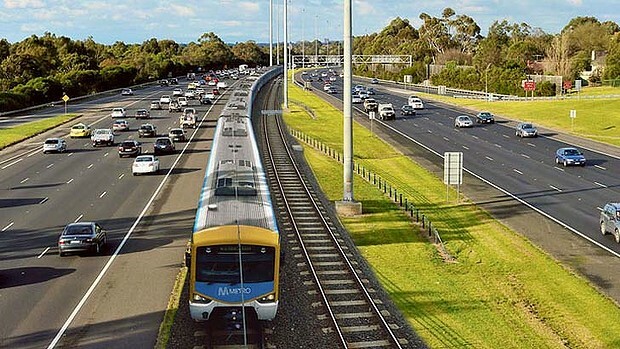 The increasing demand to expand Melbourne’s freeway networks threatens designation of median strips for public transport purposes. The median strip of the Eastern Freeway (which was originally designed and planned for a heavy rail line) may be lost to accommodate additional traffic lanes on the Eastern Freeway, forever relinquishing this corridor for a possible public transport purpose. Similarly, the median strip where the potential Rowville rail will be built is yet to be formally reserved for this purpose. These median strips must be reserved as public transport corridors as part of planning to determine future public transport corridors in Melbourne. This will beneﬁt public transport users as the corridors will be preserved for future improvements of the bus or rail network. It will also reduce reliance on cars, with the attendant congestion, emissions, energy and safety beneﬁts.